Román Egea Garcés , one of the last survivors of the Nazi concentration camp in Mauthausen, died yesterday in the French city of Toulouse at 99 years of age. He was born on August 9, 1919 in the Huesca town of Graus, which prepared a tribute in his honor. He was one of about a thousand deported Aragonese, whose names appear on the website of the Amical de Mauthausen. In total, an estimated 10,000 Spanish Republicans passed through the Nazi concentration camps , and of these, some 8,000 went to Mauthausen, where some 6,000 died, including 3,900 in the field of Gusen, located five kilometers from Mauthausen . The municipal group 'Graus yes Can', who hoped to pay tribute soon, reported the death of Roman Egea, while lamenting his loss. After serving in republican aviation during the Spanish Civil War, Egea went into exile in France, where he fought against Germany in World War II. He remained five years as a prisoner in the Mauthausen concentration camp and was one of the last survivors. Egea Garcés was one of the 23 residents of the Huescan region of La Ribagorza who were deported to concentration camps, and one of the five who were released, since the rest died during their captivity. According to the Amical de Mauthausen data recently made public, seven came from the Benasque Valley (Castejón de Sos, Chía, Eresué, liri, Neril, Sahún and Seira), four from Graus and the rest from Morillo de Liena, Montanuy, Raluy , Abenozas, Benabarre, Torres del Obispo, Bonansa and Estopiñán del Castillo. Of the four deportees of Graus, the other three were Juan Ramón Pérez, Gerardo Quiroga Andreu, Antonio Sesa Grau, only Roman Egea Garcés managed to survive. 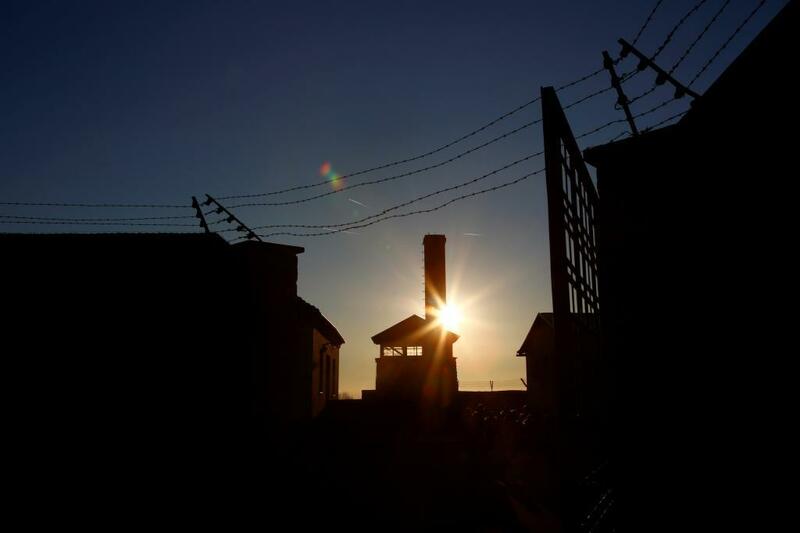 The councilman of 'Graus Sí Can', Antonio Monclús, recalled that his group had been asking the City Council for two years to pay homage to those neighbors who suffered from the concentration camps. He added that "the last time I said it, the PP told us that in March it was planned to screen a documentary about Sebastián Romero Radigales - (born in Graus, he was a Spanish diplomat who, as Consul General of Spain in Athens (1943-1944) , organized the repatriation by land, sea and air of Jews of Sephardic origin) - and that they would then take advantage of to put a plaque in. We think that it is little and that they would deserve a specific homage ". Monclús regretted that he had been urging the Consistory given the age of Aegean to allow him to attend it, but it was not possible. The Amical de Mathausen, from its delegation in Aragon, began a few months ago the project to recover the memory of the 23 residents of the Ribagorza who were deported. The project, whose origin was a trip made a few months ago to the Mautahausen camp, aims to collect data to reconstruct his biography and publish them in a book. Another element of the project would be to recognize the victims of Nazism with a monolith in which their names appear.